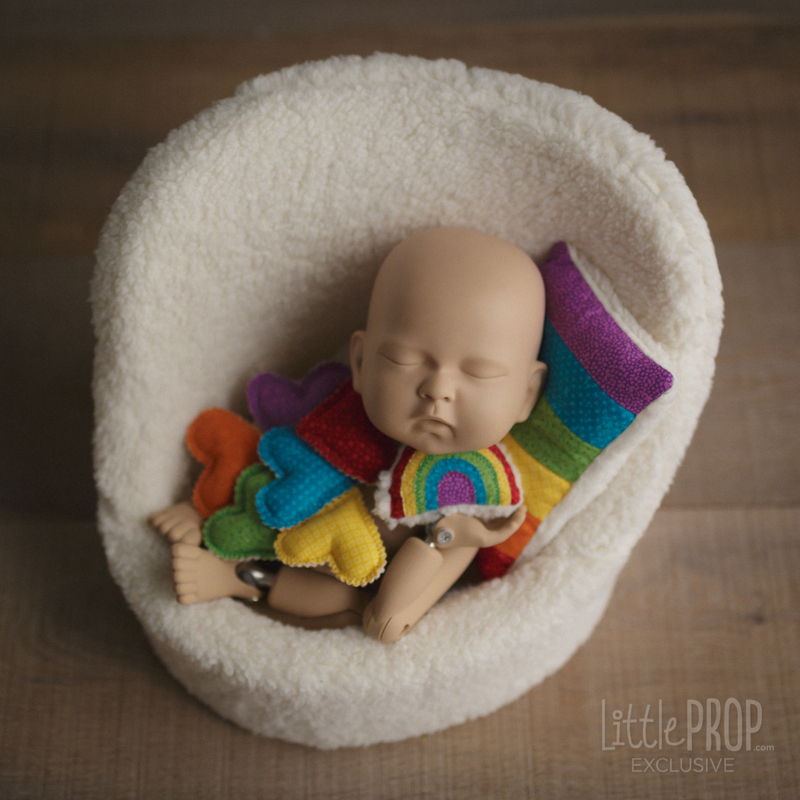 The rainbow mini huggy pillow is meticulously handcrafted patch by patch and designed with newborn babies in mind. 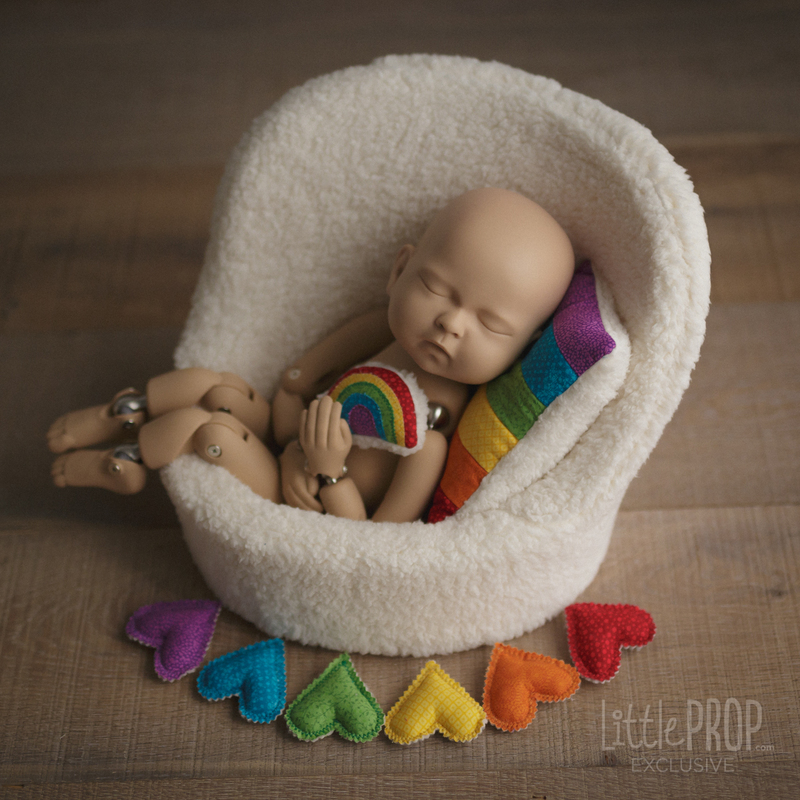 The rainbow colored mini heart pillows are the perfect accent for any session. Made tiny enough to perfectly fit between newborn's hands. They all come double sided: pattern design on one side and solid assorted colors on the other side. Fabric patterns might vary from the ones pictured but the color gamma remains the same. Sorry no individual selection available, we are sure you'll love them all!